We tested whether European robins Erithacus rubecula have a time-independent stellar compass, i.e. whether they can use the stellar pattern for finding the seasonally appropriate migratory direction without reference to their internal clock. It has been claimed earlier on the basis of experiments with other nocturnal migrants, indigo buntings Passerina cyanea, pied flycatchers Ficedula hypoleuca and blackcaps Sylvia atricapilla, but none of the previous experiments was performed in the vertical magnetic field, which rules out the use of the magnetic compass, and under the natural nocturnal sky. We argue that pervious experiments allow alternative interpretations, albeit unlikely. 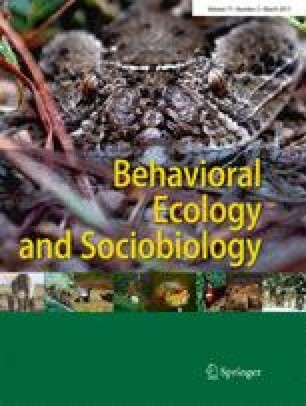 Our data independently confirm that European robins, like other nocturnal passerine migrants hitherto studied, use their stellar compass independently of their internal clock. It is generally assumed since the classic experiments of Stephen Emlen performed in the 1960s that star compass of migrating songbirds is time-independent, i.e. that the birds use the pattern of constellations and not the angle of rotation of the starry sky. However, it has not been shown unequivocally, because early experiments did not consider the possibility that the birds relied on magnetic compass rather than on time-independent stellar compass system. Here, we show that stellar compass of European robins tested in the vertical magnetic field that did not provide compass information is indeed independent of the birds’ internal clock and cannot be manipulated by resetting this clock. Cognitive challenges of learning the pattern of constellations, which is necessary to use time-independent star compass, are most fascinating and deserve detailed behavioural and neurobiological study. The authors are grateful to Dmitry Kishkinev for the discussions that were most helpful when developing the idea of this study. The authors acknowledge support from Russian Foundation for Basic Research (grants 14-34-50046 and 15-04-05386 to N.C.) and the participation of the Zoological Institute of Russian Academy of Sciences (project АААА-А16-116123010004-1). The authors would also like to express gratitude to Henrik Mouritsen for allowing us to use the magnetic coils belonging to his group, even if he had no role in designing and performing this study. Constructive comments by two anonymous reviewers were instrumental when revising earlier drafts and helped identify an important flaw in an earlier version of this paper. The experiments were conducted in accordance with the national animal welfare legislation of Russia. Permissions for this work were given by the Kaliningrad Regional Agency for Protection, Reproduction and Use of Animal World and Forests.